An Order of Imaginative Play Coming Right Up! We love pretend play in our house! Lori (age 4) loves to make believe it is someone’s birthday. She likes “packing” up all her toys in bags to get ready for an imaginary trip. And one of her favorite themes is making believe that she is a doctor who needs to give her patients lots of shots to make them feel better. On a recent play date with her adorable classmate, Aeden, I knew it was the perfect time to break out the ALEX Sweetheart Café! The girls were so excited to see what was inside. There’s a new book out by ALEX called Kid Concoctions: Weird Wacky & Wild Stuff You Can Make At Home! written by John E. and Danita Thomas. It is filled with all sorts of easy-to-make at-home concoctions. What kind of concoctions you ask? Things like slime, paints and even toys that kids can make on their own using everyday household items. 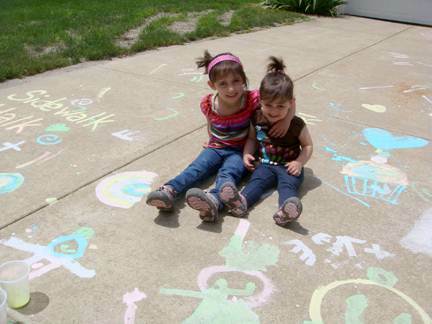 I have the book and tried out the Super Sidewalk Paint with my girls. After days and days of rain it was finally gorgeous outside today, so we decided to have a picnic. A pretend picnic, of course! Tips on How to Survive a Road Trip! This summer, our family decided to take a long road trip! I was a bit nervous about traveling with the two girls (Lori, 4 years and Julie, 18 months). We don’t have a mini-van or fancy backseat DVD players; we just have our trusty sedan. But with some advance planning, clever packing, and a few tricks up my sleeve, we happily made it to our destination. You can too! Sometimes if Julie is feeling sad in the car, Lori sings to her to cheer her up. It is so sweet! 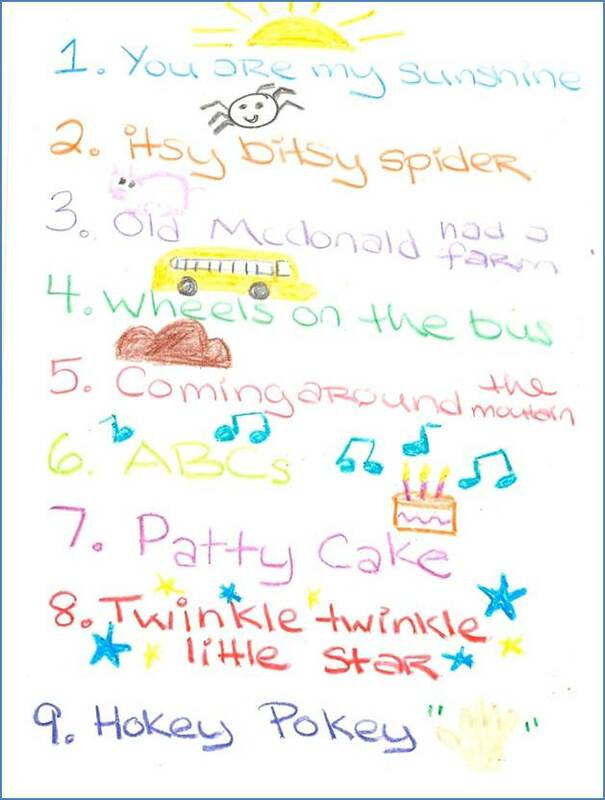 This time, Lori and I sat down the day before our trip and made a “play list” of songs that she could sing to Julie. We made sure to draw little pictures with ALEX® Crayons and My Scribble Pad to reference the songs; this way Lori could “read” them herself. When she opened the box, we found 5 individually packed projects. Every paper bag comes with the corresponding stickers and punch-outs that are needed to craft them into adorable animals! The kit also includes colorful picture instructions and jumbo-sized glue stick. Lori was thrilled that the glue stick was bright pink and dried clear. 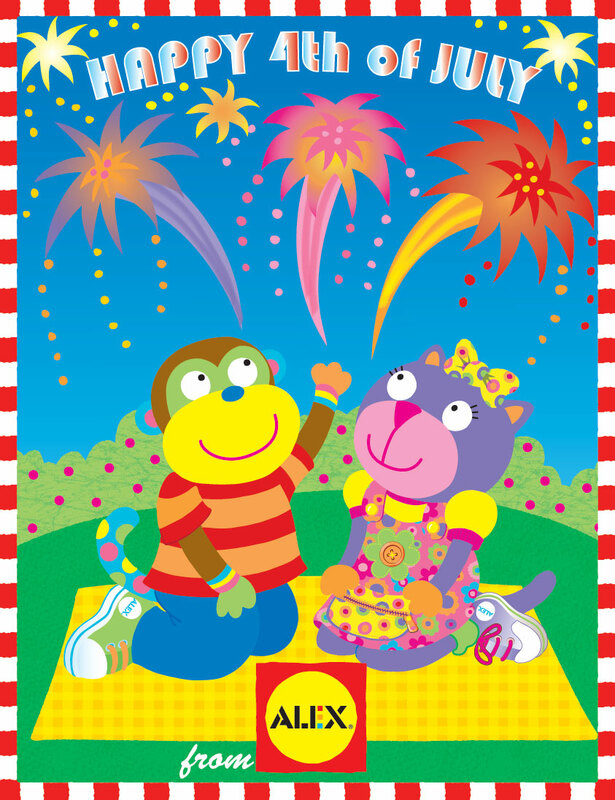 Happy 4th of July from ALEX Toys! Contest: We’re looking for our July Birthday Boy or Girl of the Month! 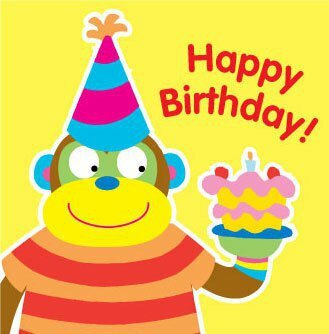 Every month we select one child to send a birthday gift to. Does your child have a July birthday? 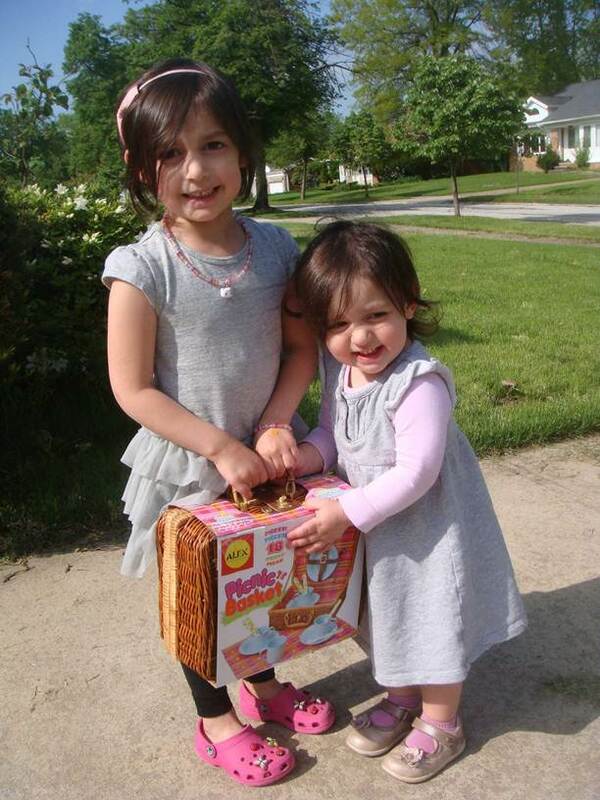 The winner of the ALEX July Birthday giveaway is Melissa and her daughter Olivia who turned 4 on July 9th. 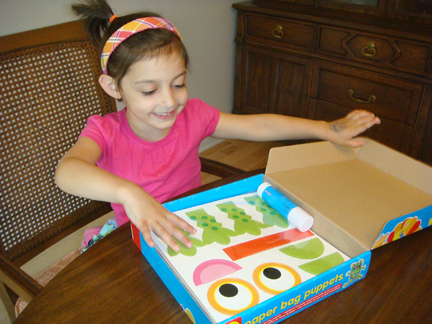 Olivia chose the ALEX Yum Yum Crafty Fun kit as her prize. Congratulations!